Ki development training is very unique in its' application. The training allows the student to actually experience the effects of calmness and relaxation when applied to potential conflict as well as the effects of using tension and anger. This comparison allows the student to choose their own direction and makes the theory an internal and physical rather than an intellectual understanding. The United States has the largest prison population in the world and the second-highest per-capita incarceration rate. In 2013 in the USA, there were 698 people incarcerated per 100,000 population. This is the U.S. incarceration rate for adults or people tried as adults. 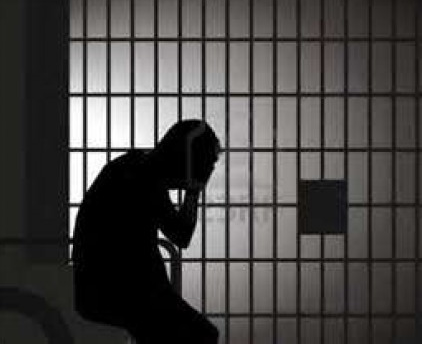 According to the U.S. Bureau of Justice Statistics (BJS), 2,220,300 adults were incarcerated in U.S. federal and state prisons, and county jails in 2013 – about 0.91% of adults (1 in 110) in the U.S. resident population. Additionally, 4,751,400 adults in 2013 (1 in 51) were on probation or on parole[ In total, 6,899,000 adults were under correctional supervision (probation, parole, jail, or prison) in 2013 – about 2.8% of adults (1 in 35) in the U.S. resident population. The Vera Institute of Justice reported in 2015 that jails throughout the United States have become warehouses for the poor, the mentally ill and those suffering from addiction as such individuals lack the financial means or mental capacity to post bail. According to a 2014 Human Rights Watch report, "tough-on-crime" laws adopted since the 1980s have filled U.S. prisons with mostly nonviolent offenders. This policy failed to rehabilitate prisoners and many were worse on release than before incarceration. Rehabilitation programs for offenders can be more cost effective than prison. According to the Brennan Center for Justice, falling crime rates cannot be ascribed to mass incarceration. Individuals and society needs to feel safe. Dangerous individuals do need to be separated from the masses,……… but just locking the dangers away has not solved our problems. Jails and prisons have become training grounds, a sort of graduate school, of violent and criminal behavior. Programs do exist for the improvement of incarcerated individuals but they are far outweighed by the in-house violent and criminal lessons given by the veteran inmate “teacher”. Do you believe that you have the capacity to learn, to change and to grow? Do you believe that others can change as well? What about those in our society who have broken laws or committed violent crimes? We can hope that change and growth can occur for inmates in our jails, but does it? In a room full of inmates you will find that 90 percent are repeat offenders. Ki Development training ultimately provides inmates with the ability to control their reactions and more specifically learn that anger and tension is actually a weak and destabilizing response. Ki training provides the inmates of all ages with the physical and mental understanding that calmness is stronger than tension. Many of us do not see beyond our immediate needs. We react to situations with limited thought about the long-term consequences. Often times we react with little control. We often believe that, at the immediate moment of conflict, our anger is appropriate and effective in responding to others. When sentenced to do jail or prison time, this behavior is often reinforced, seriously impeding the possibility for behaviors to change when they return to the community. "The things I learn about relaxation and concentration in our Ki in Daily Life class, I apply to my life here. It is a remedy that rubs against the rough edges of my mind and body, thus making daily the rough edges smoother and smoother. Daily these techniques are put into practice for a clearer conscious(ness). My anger is more in control and my choices are more clear." Ki in Daily Life training teaches students how to see a larger context for their immediate problem and thereby look at the long-term effects of their reactions. By seeing the larger picture, the inmates change their initial reaction. In ki training at the jail, students learn to both physically and mentally relax when facing conflict. This connection from theory to practice sticks with the student long after the words have faded. These sessions provide participants the opportunity to examine their own understanding of power and strength and reconsider the results of anger and tension. Through participation in Ki exercises, breathing and meditation, students experience, in a concrete and physical way , a new possibility for responding and relating to the stress of daily life both inside and outside of institutions. The Ki Research Institute began a county funded program at 2 local jail facilities in 2003. County funds for this program (among many others) were discontinued in 2006. We continued serving these facilities until our own resources for this program simply ran out. We continue to teach this program on a totally volunteer basis but can only go once every other month or so. This does not have the same effect as our ongoing classes had. We are asking for funds to do a yearlong pilot program, which will have a University study attached, to monitor the students progress and effects on recidivism. For every $15,000 we can serve one housing unit with rotating members for one year. This could be as many as 200 -300 different individuals per year per housing unit. Please give generously as our client base is ever growing while resources for programs dealing with incarcerated individuals are ever shrinking. There are many ways to help this program.